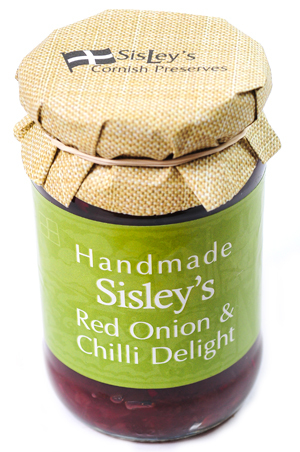 Sisley’s Red Onion & Chilli Delight. A moreish Onion & Red chilli relish with a background hint of ginger & garlic. A firm favourite here at The Cornish Store, it’s so tasty & versatile. Delicious with cheese & crackers, savoury tarts, toasted sandwiches, or with meat from the BBQ.